Quinton Rose of Temple going up for a shot against Tulsa on Jan. 17. 7 p.m., Charles Koch Arena, Wichita, Kan. Coaches: Temple, coach Fran Dunphy (12th season, 245-146; overall, 555-309); Wichita State, Gregg Marshall (11th season, 280-95; overall, 474-178). Last meeting: Temple won, 81-79, in overtime at home on Feb. 1 after the Owls went on a 9-2 run late in regulation to force the OT. Quinton Rose led five double-figure Temple scorers with 19 points. The latest: Temple has won five in a row, with the average margin of victory 14.4 points. … Rose leads Temple in scoring (14.9 ppg. ), and junior guard Shizz Alston averages 13.4 and is shooting 93.8 percent from the foul line. 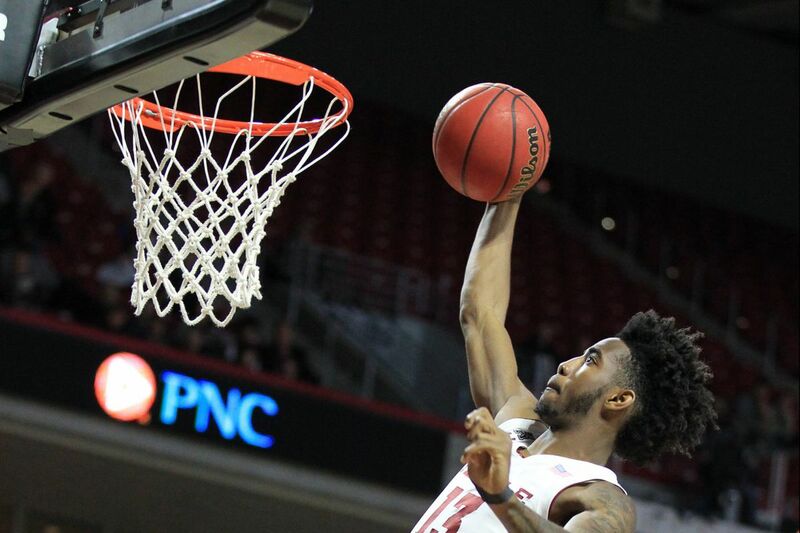 … In the earlier win over Wichita State, Temple forced 16 turnovers and committed 10. … Wichita State is seeking its ninth straight season of 20 or more wins. … Temple's RPI heading into Wednesday was 37, while Wichita State's was 19. … The Shockers haven't been swept in a regular season since Evansville beat them twice in 2012-13. … Wichita State averages an AAC-best 9.5 three-point field goals, and Temple is second in the AAC in three-point field-goal defense (31 percent). … Landry Shamet, a 6-foot-4 redshirt sophomore, averages 14.8 points and 5.2 assists to lead the Shockers in both categories. Coaches: Drexel, Zach Spiker (2nd season, 20-39; overall, 122-151); Northeastern (12th season, 195-185). Last meeting: Drexel closed the game on a 7-0 run and received 21 points from junior guard Tramaine Isabell and 13 points and 11 rebounds from 6-8 senior Austin Williams in a 68-67 upset win over the visiting Huskies on Jan. 27. The latest: After a four-game winning streak, Drexel has dropped its last two, including Saturday's 89-67 loss at Charleston. … Williams, who averages 9.3 points, 8.7 rebounds and 2.9 blocks, missed the Charleston game and is day-to-day with a lower leg injury. … Drexel's Isabell is averaging 19.9 points and has scored 30 or more four times. … Northeastern is one game behind first-place Charleston and one game ahead of third-place William and Mary in the CAA. … Vasa Pusica, a 6-5 redshirt junior, is averaging 16.8 points and 5.0 assists to lead Northeastern in both categories.